Koosharem Reservoir is at the north end of Grass Valley, south of Salina and north of Koosharem. It is an intermediate-sized, shallow impoundment of a low elevation valley. The reservoir shoreline is privately/publicly owned and administered by the BLM and the Koosharem Irrigation Company with unrestricted public access. It is possible to	launch a boat in the reservoir, and primative camping is possible along the shore. No fees are charged for use. 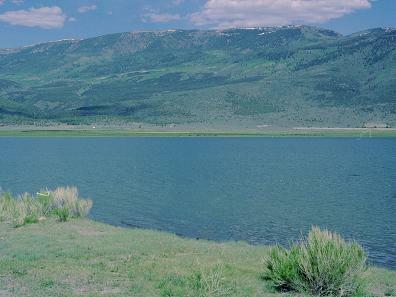 Koosharem Reservoir is directly accessible from UT Highway 24 between Salina and Loa near milepost 38. The reservoir is 2 miles north of the U-24/U-62 junction near Koosharem and 13 miles south of the U-119/U-24 junction.